We're thinking it's way past due for Bumblebee to roar in and save whatever situation you're in. But, if you're stuck in an unfavorable scenario, and find yourself checking the streets for that yellow Camaro to no avail, well, then it might be time for you to do something just a little extra to get your favorite hero to show up and save the day. 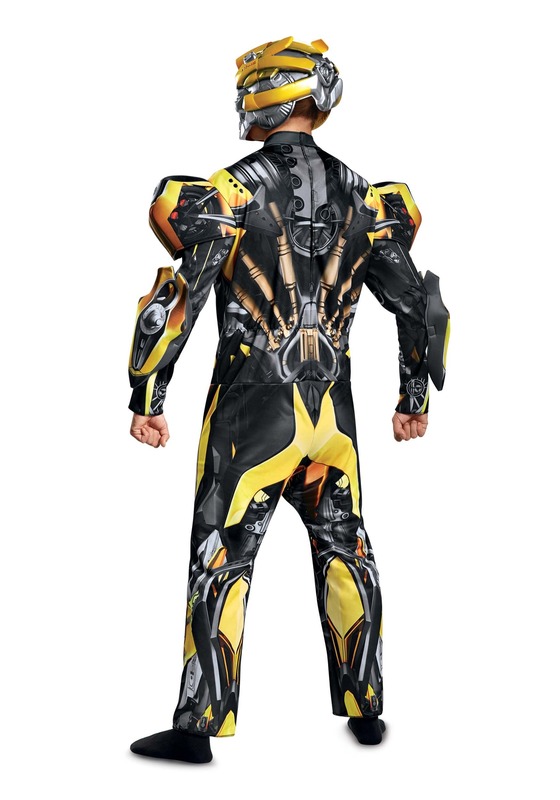 That's right, we're talking about you becoming Bumblebee. Think you're up for the task? We're sure you are. All you need is the right gear! While we can't swing you by Cybertron to get you "official" Autobot parts, we can do the next best thing. We can get you officially licensed gear from Transformers 5! That's right, this epic movie featured all of the main Transformers, back for another super cool over-the-top battle. 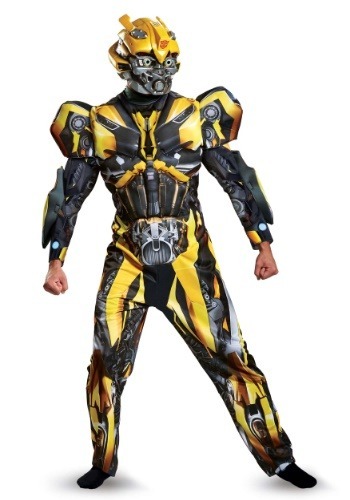 So, if you feel like joining the team, all you gotta do is get this Adult Deluxe Bumblebee Costume. It will have you ready to join the fight! This polyester costume polyester features polyurethane foam pieces for added effect. Containing a printed jumpsuit and plastic mask, it makes a dang good replica from Bumblebee's CGI appearance in the movie. It even has arm guards that attach to the arm to really replicate that robotic appearance! The best thing about Transformers costumes is that while they're great by themselves, they're even better as a team. Just like the Autobots! So, get all your friends in our Transformers 5 costumes, and you'll be ready to battle the worst that the galaxy can send towards planet earth. And thanks, if you don't mind us saying it. We really appreciate you stepping up to save the day!